Nell is twenty-six and has never been to Paris. She has never even been on a weekend away with her boyfriend. Everyone knows she is just not the adventurous type. But, when her boyfriend doesn't turn up for their romantic mini-break, Nell has the chance to prove everyone wrong. Alone in Paris, Nell meets the mysterious moped-riding Fabien and his group of carefree friends. Could this turn out to be the most adventurous weekend of her life? 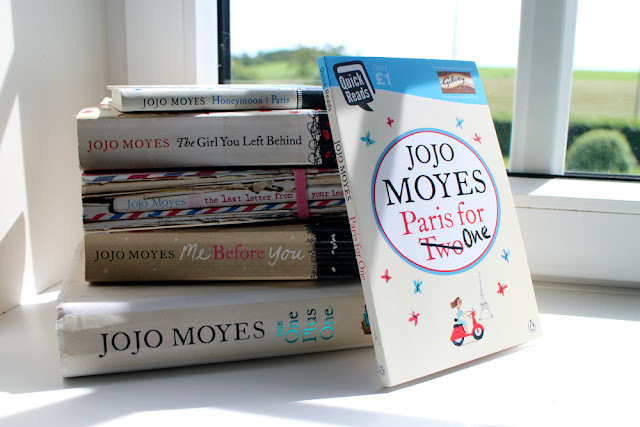 I'm an absolutely sucker for Jojo Moyes' newer books (I make this clear distinction as none of the books she wrote before the smashing hits depicted above such as The Ship of Brides, Silver Bay, etc. ever managed to make me want to read them). I of course became very happy when I discovered a short while ago that she'd written this short novel and I became even happier when I found how cheap it was to buy from bookdepository.com. 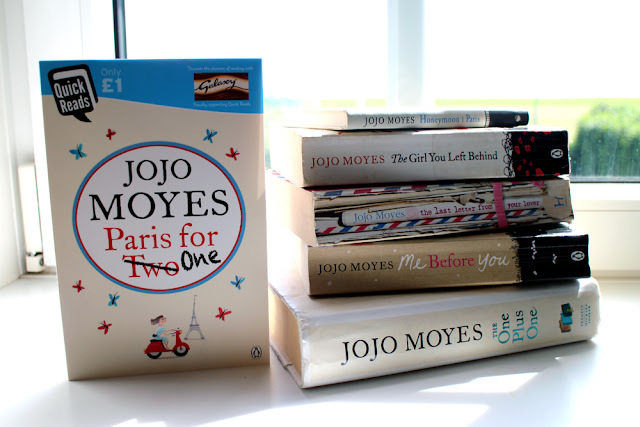 Paris for Two One is of course a very quick read but it's also very charming and saturated with emotions. Nell thought she was about to have the most romantic weekend ever but her boyfriend turns out to be a complete douche and she finds herself all alone in Paris with nothing going her way - and she's not the kind of girl to go on an adventure. Nell's panic and dread is almost tangible. True, når den er så kort så skal der ikke meget til for at røbe plottet.